• Uses the visual power of both eyes to make the image appear more natural and vivid. • The BTX features an adjustable forehead rest, an angled ocular system and the fact that both eyes can be used for viewing with maximum comfort over long periods. 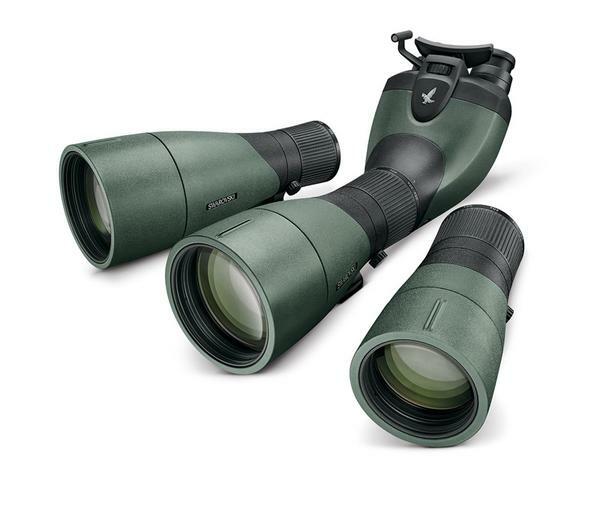 • The BTX Modular uses the 95 mm, 85 mm and 65 mm Objectives of the current SWAROVSKI OPTIK ATX/STX Modular system. • The 95 mm objective will be a fixed 35X. The 85 objective a fixed 30X. The 65 objective a fixed 30X. • Features SWAROVISION Technology – Field Flattener and High Definition Lenses: Gives perfect edge to edge clarity, eliminates several kinds of distortion, brings out the highest colour contrasts and offers increased eye relief. • The interpupillary distance is adjustable, just like on a binocular. 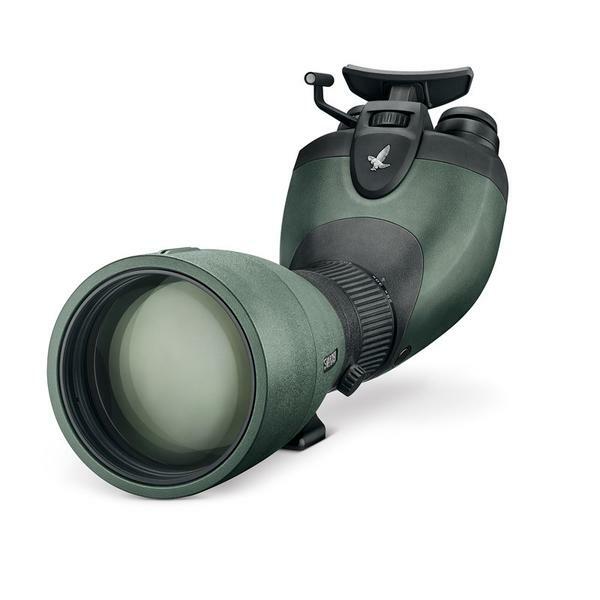 In the case of the BTX the eyepieces operate simultaneously so they remain centred – No need to move away from the forehead rest while adjusting. • The black housing which incorporates the forehead rest, can be removed for cleaning.